You will have to wait a bit longer if you happen to be one of those who felt tonight would be the end of Arsenal's winning run. Again, the Gunners scooped a hard-earned victory to make it eleven in eleven successive games. What a night it was against Sporting Lisbon in Portugal. It did not come so easy for us as we struggled to gain spark all through the first half. I would be correct to say that the first period was less productive from both sides. Arsenal had more of the ball at the time but that did not really matter since it made no difference to the result. A few not-so-clear chances showed up close to the end of the half but all we could do afterwards was hope for a magical second half which saw the introduction of new legs and we were able to win it, same way we have turned things around in the second half of a number of games so far this season. 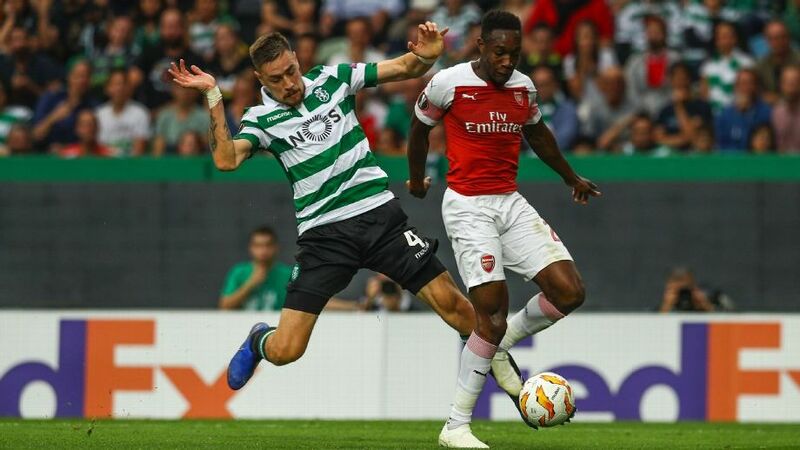 Having missed out on a chance to put us ahead 10 minutes earlier (he actually scored but goal got nulified as a result of his foul on an opposition player), Danny Welbeck pounced on the ball after a Sebastian Coates mistake before sending a shot into goal. That was the difference for the night and it was enough to give Arsenal all three points. Arsenal broke their non-winning jinx in Portugal with that emphatic 1-0 scoreline. Prior to the match, we have not won any of our previous outings in that country (D3 L3). Also, we shocked Sporting by making them record a home defeat for just the second time in their last 36 games (only Barcelona have beat them there during this period) and above all made it eleven straight wins for us in all competitions, the first of its kind in the last eleven years. It is indeed an ideal time to be alive as an Arsenal fan. The good old Arsenal seems to be finding its way back under Unai Emery. The players are on high. Let's do more. Bring on Crystal Palace!